Display: 2.4 inch TFT color LCD. Storage and loading: Quantity: 100 groups; Location: 00 to 99?Power on will load the position 00). 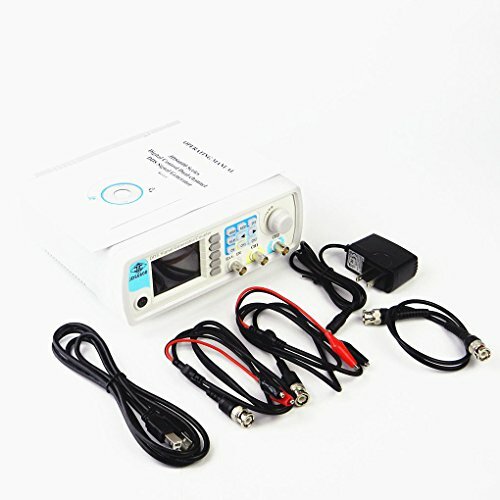 Pulse frequency range/CMOS/TTL digital frequency range/Arbitrary wave frequency range: 0~6MHz. Square rise time: ?30nS (15MHz); ?25nS(30MHz); ?20nS(40MHz/50MHz/60MHz). Waveform: Sine, Square, Triangle, Pulse (duty-cycle correction),Partia Sine, CMOS, DC level, Half-wave, Full-Wave, Pos-Ladder, Neg-Ladder, Noise, Exponential Rise, Exponential Fall, Tone, Sinc Pulse, Lorentz Pulse, and 60 kinds user defined waveform. Waveform vertical resolution: 14 bits. Amplitude Range: Frequency?10MHz: 2mVpp~20Vpp; 10MHz30MHz: 2mVpp~5Vpp. Protection: All the signal output termianl can be shorted within 60s. 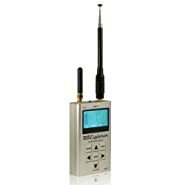 Adopt 320*240 2.4" TFT color LCD display, simultaneously display parameters of CH1 and CH2. Silicone button and jog dial,Completely change the previous patch button jerky feeling, in improving the service life and bring you a comfortable experience. A small signal capable of outputting 2mVpp,The range resolution is 1mV,And you can do 1mVpp,10mVpp, 100MVpp and so on are differentStep value, amplitude range 2mVpp-20Vpp, stepless regulation. Using DDS direct digital synthesis technology to generate precise, stable and low distortion output signa Measurement functions: can measure signal frequency, cycle, positive/negative pulse width and duty cycle; 1Hz~100MHz frequency range.